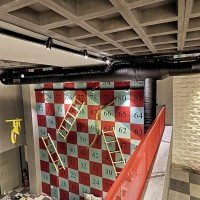 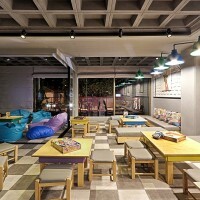 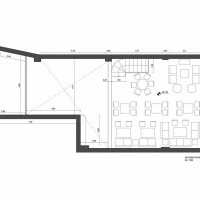 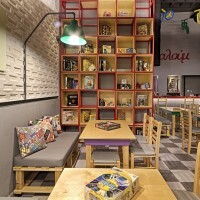 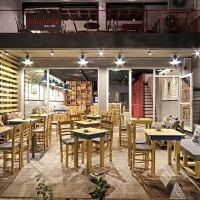 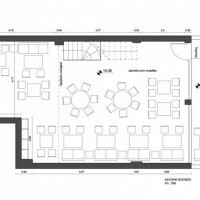 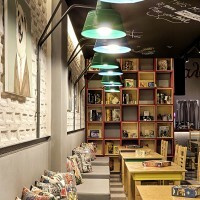 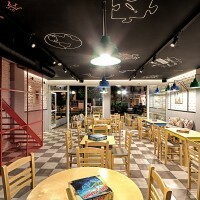 Triopton Architects have designed the Alaloum Board Game Cafe located in a suburb near Athens, Greece. 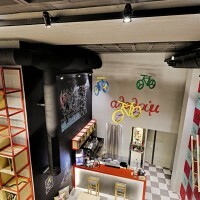 You can watch a video walk-through of the cafe – here. 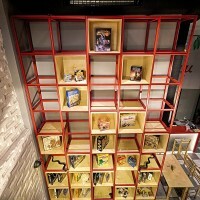 One of the dominant features is the game-library, which is made of red steel and wooden boxes and rises prominently to 5.50 meters. 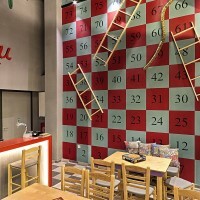 Another significant feature is the red metal ladder made of tensile perforated steel grid. 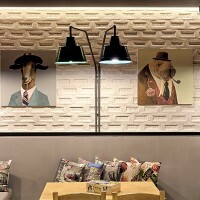 The handmade colorful metal lamps, which were designed by the architects for the light requirements, are hanging from bronze water pipes, also stand out. 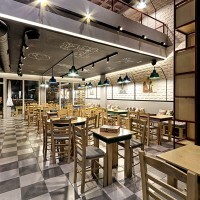 These lighting elements not only satisfy the basic lighting needs but highlight also the building elements and the intense colored decorations on both the walls and the ceilings. 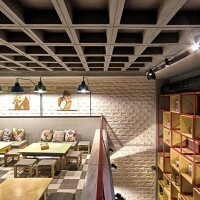 Great emphasis was placed on reusing the pre-existing building materials, which resulted in white-painted brick walls coming in contrast with the raw metal colored lamps and the black-painted ceiling. 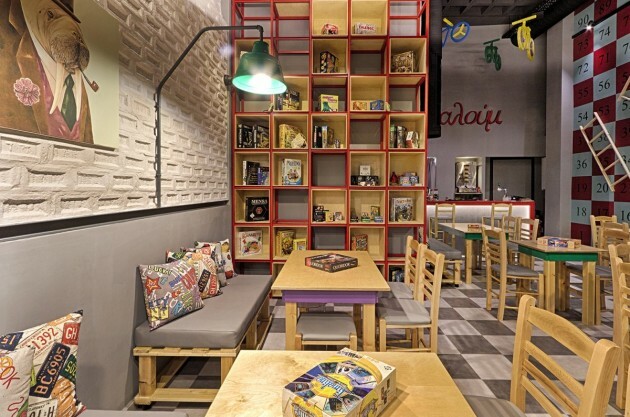 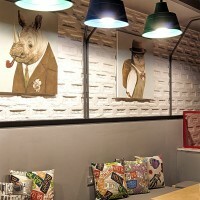 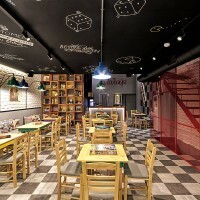 The concept of the game is emphasized by representations of games on the walls, colorful details on the furniture and the checkerboard floor. 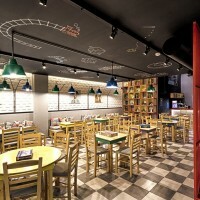 The blackboard walls are decorated with vibrant color shapes and are painted in such ways that turn this café into a school classroom evoking childhood memories.